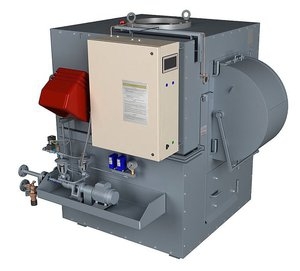 A ships incinerator is a type of oven designed to completely incinerate garbage. These devices reduce shipboard waste to ash. They are common aboard cruise and other passenger ships because they greatly reduce the volume of waste. Incinerators burn waste in a chamber at high temperature, reducing it to ash. Choice will depend on incinerator size, capacity, energy consumption and, especially, the types of material it can burn. For example, PVCs only can be incinerated in a device approved by the International Maritime Organization. Shipboard incinerators must comply with MARPOL regulations.